Wavelength Dispersive X-ray fluorescence (WDXRF ) is a technique that has become indispensable when fast, accurate elemental analysis is needed, as when controlling a melt in a steel works or the raw mix at a cement plant. One reason for its popularity in these applications is that its ease of use, and the ruggedness of the equipment, allows quality results to be obtained in plant conditions by operators without advanced analytical skills. Furthermore, its inherent precision, speed, and simplicity of sample preparation can often eliminate many of the problems encountered with solution-based methods like ICP or Atomic Absorption spectroscopy. 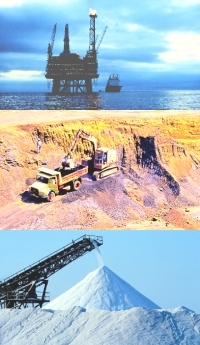 Typical uses include the analysis of oils and fuel, plastics, rubber and textiles, pharmaceutical products, foodstuffs, cosmetics and body care products, fertilizers, minerals, ores, rocks, sands, slags, cements, heat-resistant materials, glass, ceramics, semiconductor wafers; the determination of coatings on paper, film, polyester and metals; the sorting or compositional analysis of metal alloys, glass and polymeric materials; and the monitoring of soil contamination, solid waste, effluent, cleaning fluids, sediments and air filters.